Plants add beauty to our homes and gardens, but they can seem like a challenge. Here's how to keep your home bursting with colour and fragrance without sucking your wallet dry. The best bargain flowers are homegrown, so plant them in your garden if you can. 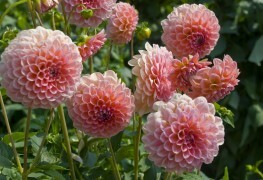 Depending on what region of the country you are in, you could have free blooms six months of the year. Cut flowers from the garden just before they're in full bloom. That way they will open indoors and you will need to replace them less frequently. Pansies are easy to grow and come in a glorious choice of colours. Plus, the more you cut, the more they flower. 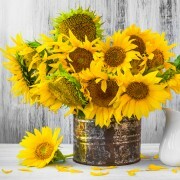 Local fruit and vegetable stores often have a large selection of fresh-cut flowers and the prices are better than at a florist, but there is less selection. 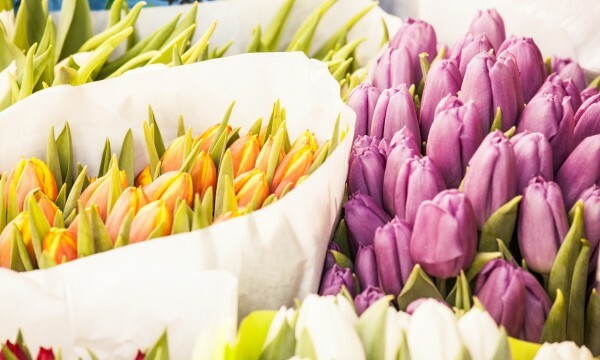 Supermarkets are a good source of well-priced flowers, but check carefully — they're often past their prime. 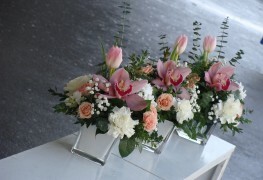 Buy flowers that last a long time, such as chrysanthemums and carnations. Lilies are expensive but last for two weeks and have an intense fragrance (not to everyone's taste) that will fill the whole house. Ensure that you change their water every three days. 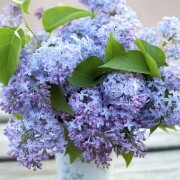 Not all colours are strongly scented, so before you buy you may want to sort through and select the most fragrant. Freesias are a good choice for a fragrant flower. 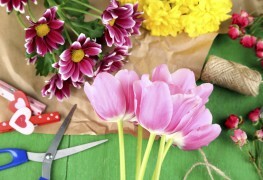 Buy from a reputable source, and ensure flowers are wrapped for protection before leaving the store. Flowers with firm petals or coloured buds have absorbed enough food to develop fully. Put them in lukewarm water — it has less oxygen, which prevents air bubbles in the stem blocking water uptake. 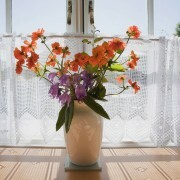 Clean vases thoroughly after use — bacteria kills flowers. Snip stems at an angle under running water to increase the area that can absorb water. Strip off all leaves that would be below the waterline to help keep the water clean. Use flower food as instructed. It contains flower-friendly sugars that encourages buds to open, and preservatives to prolong their life. Add a couple of aspirin tablets to the vase. Pop a few drops of lemonade into the water. Add a few drops of bleach to disinfect the water, but don't overdo it or you will kill the flowers. Add a couple of coins — the dissolving minerals are believed to extend the life of flowers. Move a potted plant around until you find a spot where the plant is happy. Don't be tempted to water your plant more if it isn't blooming. It may just need a spot in stronger sunlight. Give plants a boost by watering occasionally with leftover cold tea. Cooled water that was used for boiling eggs is full of nutrients. Mix a few tea leaves or coffee grounds into the plant soil to aerate it. Plants and flowers add much-needed colour and scents to our homes and gardens. Taking care of them may seem like a challenge, but by picking the right plants, and giving them the right diet, your home and garden can have the look and smell you want.